This week, you can't judge a website by its cover, because it doesn't have one. Plus, what to eat while hiding in a cave. Sometime during your life - in fact, very soon - you may find yourself visiting a website and you may notice as you scan the page that the first picture you see after the headline often tells you something about the kind of content that page will contain. For instance, a web page that began with a picture of a pretty girl foolishly sleeping all day in a glass coffin while her seven short friends work diligently at the local mine might begin with the sentence, "Once upon a time there was a ridiculous girl who ate too many apples and fell asleep while her friends did all the work, until one day a handsome prince kissed her anyway, and she lived happily ever after." And, if you liked stories about apples, or mining, or zombie weddings, you would know you should keep scrolling down that page to read the rest of the story. But this page is about to begin with a picture of the Baudelaire orphans eating a terrible beef casserole in a dimly-lit room with an optimist and lots of coupons, so you should be able to tell instantly that the story that follows will be very different from the story of a lazy girl with seven hard-working friends and a new boyfriend. If you wish to avoid a story with unpleasant food and optimistic dining companions, you had best close this page now. Recently, while sifting through the charred remains of a certain industrial kitchen in a workplace with a high rate of on-the-job accidents, I found a terrible recipe for a dense and damp beef casserole. It was stored in a large box sealed with chewing gum, and filled with more chewing gum, and it was the only recipe I found. Combined with other evidence too disturbing to reveal on this page, I've drawn the only possible conclusion: the workers in that mill were repeatedly subjected to the same terrible casserole, over and over again. I'm sorry to have to tell you this, but it's true. Sonoran Beef Casserole made in the Adventure Kitchen. 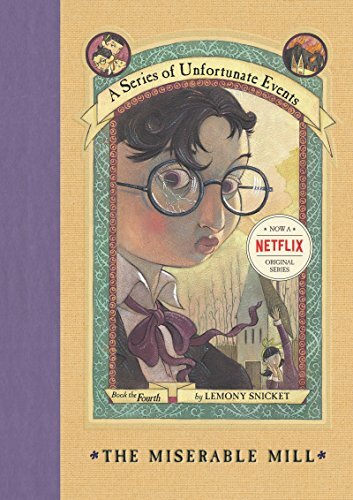 It is atrociously unfair that Violet, Klaus and Sunny Baudelaire were orphans, and that they had to eat terrible casseroles instead of apples. To make matters worse, they had no happy, sleepy, bashful, sneezy, grumpy or dopey friends to do their work for them, and the only Doc they knew was a villainous doctor of optometry and her nefariously ill-disguised assistant, Shirley. If you are not currently working at hard labor in exchange for gum and coupons, it's possible you might be able to cook some food for yourself. If this is the case, you could make whatever kind of beef casserole you'd like. Once, while in hiding from the authorities in a cave near Gila Bend, Arizona, I created the recipe below for a Sonoran beef casserole. It calls for ingredients one might easily be able to scavenge from the local market stalls, and is topped with melty cheese and crispy breadcrumbs. It is not only delightful to eat, but also rather simple to make, especially if the cave you are in happens to have an oven. If you have seven jolly friends to do all the work while you sleep, perhaps they will do the dishes afterwards. But I don't know where you might find a glass coffin in that area. A delightful recipe never served at Lucky Smells Lumbermill, containing ground beef, green chiles, ground cumin, Mexican oregano, tomatoes, cheese and elbow macaroni, mixed together in just the right proportions, then covered with melted cheese and crispy bread crumbs and topped with scallions and cilantro.